Last Will and Testament Attorney Coral Gables | Wills Attorneys Yelen & Yelen, P.A. Do I need one to prepare a will? A comprehensive estate plan begins with a valid and up-to-date Will prepared by a probate attorney. A Will ensures that your assets are distributed in the manner you intended and may avoid family conflicts following your death. A Will is a legal instrument that should be drafted by an experienced wills attorney – a Will coordinates the distribution of your assets following death. Your estate may include tangible and intangible assets such as personal possessions, real property, bank accounts, shares in private companies, stocks and shares in public companies and intellectual property. This document not only sets forth your desired wishes for distribution of your estate, but it can also state your wishes as to cremation. For individuals with minor children, a Will and proper estate plan ensures that your minor children are provided for if something should happen to one or both parents – you may nominate a legal guardian for your minor children. Our attorneys recommend that every parent with minor children have a valid and updated Will stating who their desire guardian should be. Without a nominated guardian in your Will, the Court will be required to nominate a guardian. When an individual dies without a Will, they die “intestate” and Florida “intestacy” statutes govern how their assets will be distributed to their heirs at law. The resulting distribution scheme may not produce the results you would prefer for your family and/or beneficiaries. In order to prevent this from happening, our attorneys recommend that you have a Will as the foundation of your estate plan which includes your wishes and desired distribution scheme so that you ensure that your property is distributed by those you specifically intended to inherit. When devising your Will and estate plan, it is important to clarify your intents, determine what assets you currently own and identify those individuals who will carry out your Will (i.e. possible executors, trustees and guardians of your children). A Will also nominates a Personal Representative (also known as “executor”/”executrix”), who oversees the administration of your estate and carries out the provisions provided for in the Will. An individual or third-party entity may serve in this role, such as a bank or financial institution. The Personal Representative carries out the provisions of the Will and has various legal responsibilities and duties to the estate and estate beneficiaries. It is critical to appoint an individual who you can trust will follow your wishes and distribute your estate pursuant to your Will. You can also nominate Alternate Personal Representative(s) who can serve in this role in the event your first-nominated individual cannot serve. You may also appoint a trustee of future trust(s) created for your children or grandchildren following your death. Many times, the nominated Personal Representative is also appointed as trustee following your death. Nomination of proposed guardian of any minor children in the event of your passing. Identify all minor children and your spouse if married. Detailed distribution scheme and age of inheritance – a Will designated when and how the beneficiaries receive their assets (i.e. certain assets may be held in trust for their benefit until reaching a certain age). Specific cremation and burial instructions. Related special instructions for the distribution of certain assets (such as some bank accounts and real estate); related special instructions for the management of any businesses following your death. In order to create a Will, the testator/texatrix must be over the age of eighteen, mentally competent (“sui juris”), or an emancipated adult may make a Will in Florida. Florida imposes specific requirements as how a Will must be prepared, witnessed and executed so that it will be admissible to probate following your death. If a Will is improperly drafted or improperly executed, it may be invalid - the Will may not be admissible to probate court and the estate may be declared an intestate estate. Therefore, it is critical for an individual to have their Will prepared by a licensed and experienced Florida probate attorney. Florida Wills can be modified, revoked and recreated throughout your lifetime until you reach incapacity or death. A modification or amendment to your Will is called a codicil, which must be drafted and executed in the same manner as a Will. At Yelen & Yelen, P.A., our attorneys have been preparing Wills and related estate planning documents for clients for over 50 years. Contact our office so that we may assist you in drafting you Will to ensure that it is up-to-date and clearly designates your wishes for the distribution of your estate. Yelen & Yelen, P.A. is a boutique law firm practicing in the areas of estate planning, probate and trust administration, guardianships, and real estate. 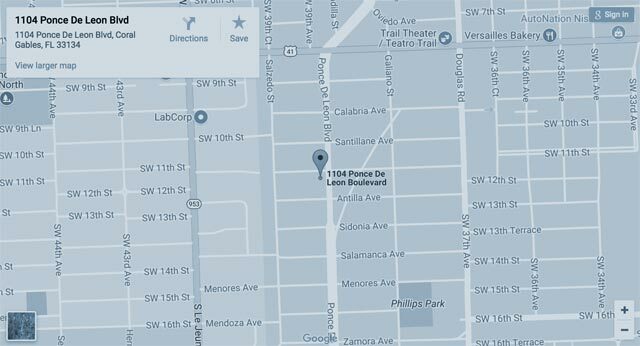 We serve clients in Coral Gables, the greater Miami-Dade County area, and throughout Florida. Let us know how we can help by completing the form on this page. Our office will get back to you promptly to set up a phone or in-person appointment to discuss your particular legal matter.